My involvement with Israeli folk dance came about purely by chance. While I was in basic training in 1958 with the Nahal Army unit, I was chosen to be the assistant to Shaul Rosenfeld who had been assigned to prepare the famous dance "The Harvest" for the 1958 Dalia Dance Festival. At the end of basic training, while preparing to rejoin my Nahal Army unit (garin), I was asked to report to the command headquarters and from there I was sent to a course for Folk Dance Instructors. This course was directed by Yossi Abuhav. He explained to me that I would be joining a special educational unit as a folk-dance instructor touring the Nahal bases all over the country. That was the beginning of my devotion to the teaching of Israeli folk dance. My home town of Jerusalem has been my working environment. As a dancer, I first appeared with the Histadrut Dance Troupe of Jerusalem which was directed by Moshe Eskayo and then in the newly-formed Hora Jerusalem. Later I joined the Hebrew University Dance Ensemble. 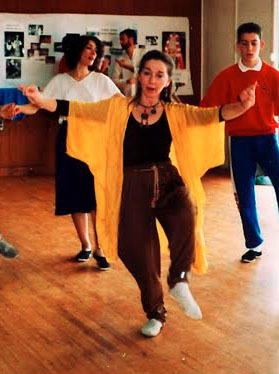 As an instructor of Israeli folk dance, I taught for many years in a number of high schools and other educational institutions such as the Institute for Leaders from Abroad of the Jewish Agency, the Brigham Young University branch in Jerusalem, the Institute for Training Teachers from Abroad and the Hebrew University. In 1965 I studied in New York and became involved in the local dance scene. I became active as an instructor in Fred Berk’s workshops as well as at his sessions in the 92nd street Y. In addition, I served as the dance instructor for two summers at Tel Yehuda Young Judea camp at Barryville New York and the following summer at Cejwin camps. At Tel Yehuda I created the well-known couple dance Erev Shel Shoshanim. While in New York I became the Student Zionist Organization (SZO) Director for the East Coast Region and choreographed the SZO dance troupe which appeared at the annual New York Israeli Folk Dance Festival. When I returned to Israel in 1968, I continued to be active in the field of folk dance and created several – among them Hava Nagila, HaKad (to music of the Dudaim), Hayoshevet BaGanim, Haktantana Hismika (to a traditional Ladino melody),and LeArtzi – which was awarded first place at the Karmiel Folk Dance Festival competition for new dances in 1992. Some of these dances were choreographed for dance troupes including Hora Vatikim and Shorashim. The latter was a dance troupe I founded in 2001 for the preservation of well-loved classic choreographies of Israeli folk dances by such iconic Israeli choreographers as Yonatan Karmon and Micha Spira. For the Shorashim dance troupe I choreographed and revived a number of dances, including a Ladino medley. For eleven years I was manager of the Jerusalem Students Dance Troupe. In addition, I served as guest choreographer with the Hora Neurim dance troupe. For many years I was an active member of the Committee for the Preservation of Ethnic Dances of the various Jewish immigrant communities under the leadership of Gurit Kadman. She worked tirelessly to preserve the traditional ethnic dances of the Kurds, Yemenites, Georgians, Hasidim, etc. through the establishment of ethnic-based dance groups. While I was in charge of events at the Israel Museum I initiated a program of ethnic cultural preservation which included the elaborate day-long celebrations dedicated to the traditional songs, dances, foods and customs of each community. In 1996 I was given a special award by the Jerusalem municipality for my work in the promotion of folk dance in the city. In 2016 my lifelong dedication to authentic folk dancing was recognized by the Organization of Folk Dance Instructors and Choreographers which presented me with an award for my extensive contribution to folk dancing and for my work in the preservation of ethnic folklore and traditional dances. Through all my years in the field of Israeli folk dance I have been a tireless supporter of the preservation of traditions and quality. I have championed the idea that folk dances should be created only to music which has been known and cherished for a number of decades in the Israeli cultural environment. I am willing to accept the new dances which are created for a limited life span to newly-composed songs – but to my understanding these should certainly not be considered folk dances. Marco Ben Shimon is one of the most accomplished choreographers of Israeli folk dance. He has taught at folk dance camps and workshops throughout the United States, Canada and Israel. 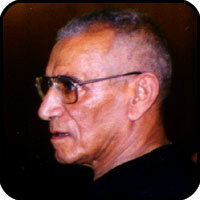 Some of his classics include Gan Hashikmim, Na'ama, Lail Stav, Lecha V'elecha, and many others. Marco was born in Algiers, came to Israel when he was two years old and grew up in Tzfat in the Galilee. He later worked as a Gadna instructor and physical education teacher in Kiryat Shmona, where he started dancing in 1977 with Sefi Aviv and in a performing group directed by Seadia Amishai. In 1981, Marco moved to Jerusalem where he taught physical education in grades 7-12 and had a local dance session. From 1989 until 1997 he lived in Toronto, Canada where he taught physical education and Israeli folk dance in Jewish schools. During this period, Marco taught at workshops and camps in the United States. He returned to Jerusalem in 1997 and resumed teaching physical education and Israeli folk dance. In 2015 he retired and moved to Pardess Hanna. Marco received his bachelor's degree in physical education from the Wingate Institute in 1976 (he also received a Master's in the field from Boston University in 1985, while on Sabbatical). Once he discovered Israeli folk dancing he realized that he enjoyed it and could actually create dances by putting together his musical abilities with his sense of rhythm. One of his early teachers was Tamar Alyagor with whom he studied for a year at the Ulpan for Dance Leaders. He began to choreograph because he not only liked art and dance, but also had a creative impulse. He created his first dance, Gan Hashikmim to a waltz rhythm and since that was very successful he felt he could create more dances in this style. He thus became known as "the waltz king of Israel". 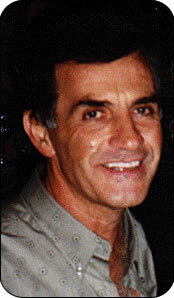 In addition to his many popular partner dances, Marco created a fair number of circle dances that are in the nostalgia repertoire including Ayala, Haleluya and Lifney Shenifradim. He is one of the few choreographers who has created Israeli folk dances to Ladino songs such as Hamelech Nimrod (Cuando el Rey Nimrod) and Shalom Ahuvati (Adios Querida), both of which remain popular. Although a veteran choreographer, Marco continues to create new dances. In fact, he was first place co-winner at the Karmiel dance competition in 2009 with Nachon Sheat Kan (Ahava). Marco first taught at Shorashim in 2000, and was the youngest Israeli folk dance choreographer to be featured until that time. We welcome Marco back to Shorashim in 2016 to teach his wonderful dances, which represent a newer generation of classics to add to the first generation. Ruthy Pardess, one of Israel's most accomplished dance leaders and movement therapists, will make her Shorashim debut at Bridge for Dance, 2726 Broadway, on September 4-7, 2015. The event commemorates the 70th anniversary of the first Dalia Dance Festival, where the Israeli folk dance movement was born. Ruthy will teach dances from the Dalia Festivals and its choreographers as well as from Yemenite and other ethnic sources, which are her specialty. For 25 years, Ruthy was Director and senior educator at the Ulpan for Folk Dance Leaders in Tel Aviv. 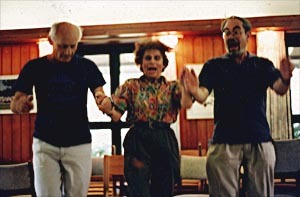 In this role, she was responsible for educating and certifying more than a generation of folk dance choreographers and leaders, including notables such as Moti Alfassi z”l, Gadi Biton, Yaron Carmel, Meir Shem Tov, Eli Ronen, Amnon Shauli and many others. She was also Founder and Director of the Ulpan for Folk Dance Leaders in Givat Washington College, a school for religious women, which continues to this very day. During her long career Ruthy led many dance sessions, including one of the largest in Ramat Aviv, Tel Aviv. In addition, for 30 years she was invited to France, where she had a major influence on the local Israeli folk dance scene. She has also been invited to the U.S to teach at major Israeli folk dance venues, including Camp Blue Star. In 2011, she received the highest award from the Irgun Hamadrichim L’rikuday Am (Organization of Israeli Folk Dance Leaders) for her life-time achievements in contributing to the development and teaching of Israeli folk dancing world-wide. Ruthy also worked with Yemenite, Kurdish and Moroccan communities and became an expert in ethnic dance . 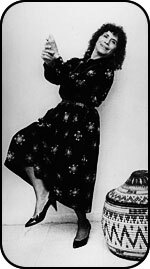 This work led to her developing dance therapeutic models based on ethnic folklore rituals, including the Yemenite henna ceremony. For 10 years Ruthy was Chair of The Israeli Association of Creative and Expressive Therapies (I.C.E.T), she laid the foundations for the formal recognition of therapy through arts in the education system in Israel. In addition, she led the movement to achieve formal recognition of the Arts-Therapies Professional in Israel. Today, Ruthy Pardess has a private practice in her studio in Hararit, Israel where she runs sessions and workshops utilizing the various therapeutic dance movement models that she has developed. She continues to teach at Israel’s largest dance festival at Karmiel, where she is responsible, together with Yoav Sidi, for the workshop on reviving the older folk dances. This is what she will be doing in her debut at Shorashim 2015. Moshiko (Moshe Yitzhak Halevy) was brought up in a traditional Yemenite family from Jaffa and began his professional dance career at age 17, mastering all forms of dance including classical, modern, jazz and tap. Moshiko joined the Inbal Dance Theater at the recommendation of choreographer Jerome Robbins, where he became its principle male soloist and began to explore his own ethnic dance traditions. He choreographed his first dance in 1959, Debka Uriya (named after his first son), which was a prize winner at an international folk dance competition in Europe and remains a popular favorite throughout the world. Moshiko was greatly influenced by the various ethnic groups in Israel, integrating their movements and styles into his folk dance choreographies. For over 40 years, Moshiko has been invited throughout the world, bringing his unique and highly disciplined teaching approach that encourages dancers to master his often intricate choreographies based on Israeli folk and ethnic dance traditions. In addition to Debka Uria, other long-established Moshiko folk dance classics include Bosmat, Debka Beduit, Debka Kna'an, B'tof U'ztlil, Hahelech, Hora Yamit, Ki Hivshilu, Mechol Hadvash, Mishal, Tfilat Hashachar, Ya Abud, Yililat Haruach & Zafe, just to name a few. This is the first appearance by Moshiko at Shorashim and we are very pleased to have the opportunity to review and learn his classic dances from the master himself. We are also honored that Moshiko comes to us as the elected head for this year of the Irgun Hamadrichim L'rikuday Am (Organization of Folk Dance Leaders), which represents those who teach and/or run sessions of Israeli folk dancing in Israel. Shmulik represents the younger generation of Israeli choreographers and is one of the most prolific creators of Israeli folk dances. Born into an observant Yemenite family from Naharia, but raised in Akko, Shmulik attended the Wingate Institute and majored in physical education with a specialization in dance. At Wingate he became an instructor of Israeli dance pedagogy while at the same time choreographing youth and adult groups which performed in Israel and Europe. 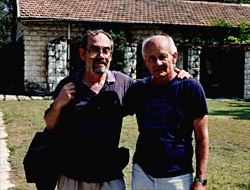 Shmulik was encouraged and influenced by several of the first generation of Israeli folk dance creators, including Shalom Hermon, Eliahu Gamliel, Yonatan Karmon and Yankele Levy, his first teacher. Shmulik's earliest dances were Anavai and Ahavat Hachayalim, both choreographed in 1977 and still danced today. He went on to choreograph many other dances which have become popular classics, including Eizo Shemesh Mevorechet, Kol Nedarai, Lakum Vela-amod, L'chu N'ranena, Na-ale, Sajani, Shabechi Yerushalayim, Shir Haaflaga, Stam Yom Shel Chol and Ya Teir. This is Shmulik's first time at Shorashim and he will make a cameo appearance to teach some of his great classic dances. 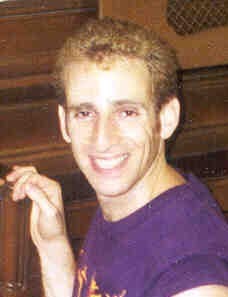 Danny is a well-known master teacher of Israeli folk dance in the New York region. 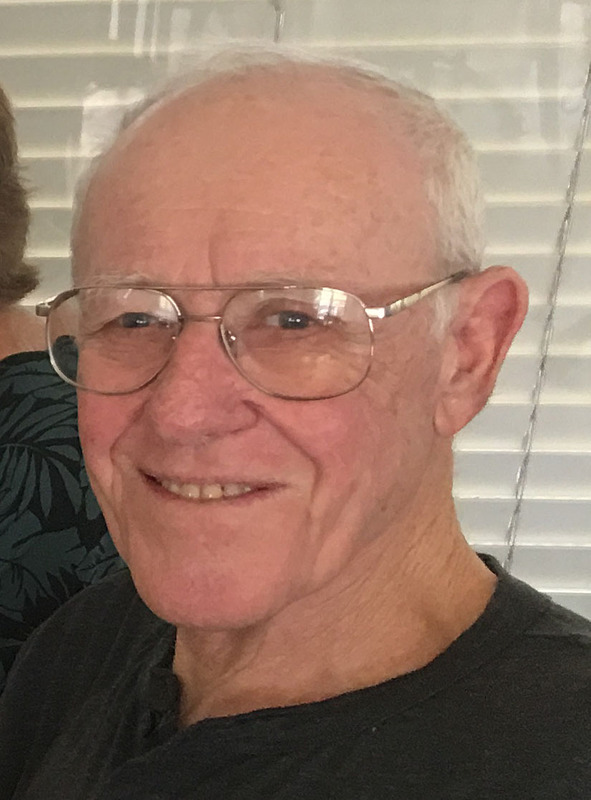 He has taught Israeli folk dance classes, sessions, and workshops for more than 20 years and has been a valued staff member at various danc camps. Danny has created children's dances and taught workshops for teachers. He has performed with numerous Israeli dance troupes including Parparim and Screaming Sa'adya and for 15 years he has served as a Tap Captain for Macy's "Tap-O-Mania." Currently, at the 92nd Street Y, he is teaching folk dance in the Sixty + Program as well as dance classes for special needs children, a position he has had for 13 years. Danny has been involved with the New York Israel Folk Dance Festival for the better part of the past 25 years as performer, assistant to the director "Finale Man" and Festival "community dancing" leader. We are very pleased that Danny returns once again to teach his classic repertoire dance workshops at Shorashim, which has now become an established tradition that all of us look forward to with great anticipation. 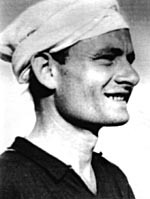 During his career as a choreographer Bentzi Tiram created over 80 dances, including Al Sadenu, Ba'ah Menuchah, Bet Avi, Bo Elai, Debka Ud, Emek Sheli, Hahar Hayarok, Haperach B'gani, Hora Hadasha, Machmad L'vavi, Nigunim and Zot Yerushalayim -- just to name a few. Last year a weekend at Kibbutz Bet Hashita was dedicated to teaching the dances of Bentzi Tiram (to be reported in the next issue of Rokdim). Moshe Oron organized this weekend with support from Moshe Telem (who produced a new CD) and Yehuda Emanuel (who prepared a video). As a protege of Bentzi, Moshe will be the featured teacher at the series of workshops and will have a limited number of the new CD and video available with him, for those who are interested in acquiring them (priority will be given to those attending the workshops). Nitzhi grew up in Holon and began dancing as a 10 year old in school. Inthe army, he took a course for dance leaders with Mishael Barzilai. Hethen became a teacher of folk dance in the army in addition to his mainresponsibility which was producing educational films and special events. Nitzhi starting teaching his first session in Tel Aviv at age 19, while still in the army. After the army, Nitzhi completed the Ulpan L'Madrichim L'Rikuday Am (School for Israeli Folk Dance Leaders). At the same time he taught Israeli folklore through music and dance in a special high school program, in addition to producing educational events. Nitzhi became the main teacher of children's groups in the Holon area and had a dance session practically every night of the week around TelAviv/Holon. where he became a popular leader. By 1995 Nitzhi was appointed a master teacher of Israeli folk dance leaders at the Ulpan L'Madrichim L'Rikuday Am held at Bet Lessing in Tel Aviv and later at the Wingate Institute. While teaching dance full-time he also managed to complete a B,A. in Economics at Ben Gurion University. Shorashim is Nitzhi's Israeli dance camp debut in the U. S. and he will teach more recent classics as well as a unique workshop focusing on teaching and style similar to what he does at the Ulpan L'Madrichim. 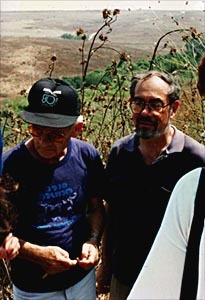 Vicky arrived in Israel in 1948 as a teenager, having spent the World War II years in Hungary, where he was born. He came with a youth group (Hashomer Hatzair) to Kibbutz Mizra, where he first learned to dance the Hora. His dancing career actually began when he served in the army and joined Nachal (Fighting Pioneer Youth). Vicky ended up as a dancer in the Nachal Troupe, which performed at the third Dalia Festival in 1951, under the direction of Yoav and Mira Ashriel. After his army service he joined Kibbutz Harel, and was a member of the dance troupe that represented Israel at the "Democratic Youth Festival" in Bucharest, which won third prize among 100 competing countries. In 1953, Vicky created his first dance - Hora Mamtera, which was the first Israeli Hora to incorporate turns, which were not that acceptable at the time. In 1955, Vicky settled in Kibbutz Dalia and remained there ever since. His debka creations were influenced by the dances of the neighboring Druse villages. Gurit Kadman dubbed Vicky the "Debka King of Israel" for his Debka Chamor, Dalia, Druze, Halel, Katzir & K'agadat Rivka. 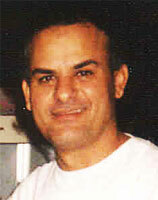 Many of his dances were created to music and lyrics by Emanuel Zamir. After Zamir's premature death in an auto accident, Vicky's interest in creating new dances waned. Vicky's participation as the guest choreographer at Shorshim 2001 is his first return to the U. S. since being the guest choreographer at Camp Blue Star in 1983. Ayalah Goren-Kadman is one of the foremost teachers, choreographers and researchers of Israeli folk and ethnic dance. Ayalah literally began dancing in the womb, since her mother, Gurit Kadman, is considered the mother of the Israeli folk dance movement. Ayalah danced in and choreographed for the famous Dalia DanceFestivals, directed the Institute for Folk Dance Leaders in Jerusalem (1966-1975), headed the folklore department of the International Cultural Center for Youth in Jerusalem (1979-1994). In this capacity, She directed the annual regional and national festivals for the performing arts. She also served as consultant for Israel radio and television, the Ministry of Education and Culture and was chairperson of the Dance Committee of the Tel Aviv Foundation for the Arts. In 1987, she established the ethnic dance program of the Rubin Academy of Music and Dance in Jerusalem and continues to direct it. A graduate of the Hebrew University in anthropology, folklore and theater, Ayalah is a founder of the Israel Ethnic Dance Project which was established in 1972. In this capacity, she has undertaken extensive field work among the ethnic communities of Israel including the Arab sector. She has developed programs for the retention and revival of the folk traditions of Israels diverse society. Together with her mother Gurit Kadman, she has collaborated in producing a series of ethnographic films of the traditional dances of Jews from Yemen, Kurdistan, North Africa, India, Ethiopia, and Eastern Europe. In 1988, the National Foundation for Jewish Culture brought her to the United States for a series of lectures, master classes and workshops. Since then she has returned periodically to the US to lead workshops and to lecture at dance departments at Juilliard, Teachers College of Columbia University, Barnard, City University of New York and others. In addition, she has been invited to present papers at numerous professional dance conferences around the world. Ayalah has been intimately involved with the annual Shorashim weekends in New York since they began in 1992. We welcome her back again to Shorashim, where she brings her inexhaustible energy to share with us a vast and unique knowledge of the classic folk dances of Israel.